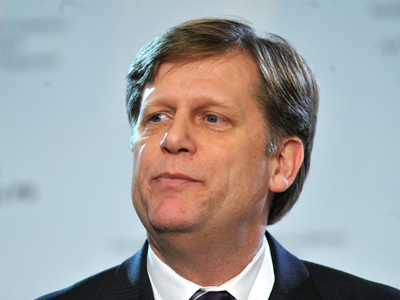 Washington used to support "democratic revolutions" in several countries, but Obama’s administration is not following the line, says US ambassador to Russia Michael McFaul. ­“Experience proves: I know we are not doing it here. This is our firm policy. Other administrations used to do it. And it’s true. Read your own history, guys. 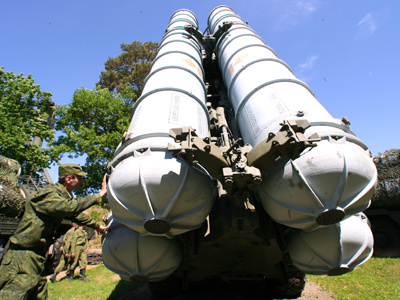 You just need to learn facts,” McFaul said on Wednesday as quoted by Interfax news agency. The vague statement prompted a misinterpretation by Interfax, which wired that the previous US administrations had been pushing for "an orange revolution" in Russia. 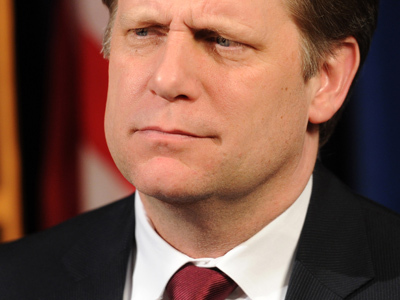 McFaul later insisted in his Twitter account that he had been speaking from a broader viewpoint. "I was not talking about Russia, but the role of previous administrations in previous revolutions," he messaged. "Other administrations have supported democratic revolutions in other countries. " The ambassador further advised people to "watch the tape" of his speech. However, when RT requested a copy from the US Embassy in Moscow, it was not immediately available. McFaul also declared he knows what “color revolutions” are and who designs them. “Mostly they are people inside the country, not the US State Department,” he remarked during the seminar at Moscow School of Political Studies. ­ “Color revolutions” is a term coined by the media to refer to movements which sprang to life in several countries in the post-USSR area and Balkan states in the early 2000s. The Orange Revolution in Ukraine was a three-month nationwide protest against the results of November 2004’s presidential poll. The revolution eventually brought the presidential seat to Viktor Yushchenko. The Rose Revolution in Georgia in 2003 forced President Eduard Shevardnadze out of office. “In the US a change of president’s administration means a change of foreign policy course. Condoleezza Rice could not author the 'reload' because she had been involved in a different policy towards Russia for eight years,” the ambassador told the gathering in Russian. 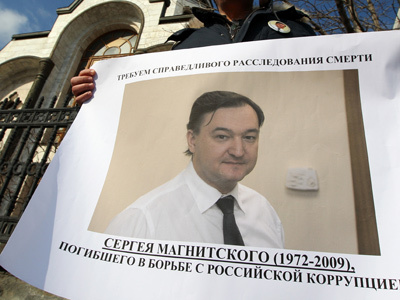 He also assured the public the US State Department does not sponsor the Russian opposition. Washington has programs to support civil society in many countries, McFaul pointed out, so Russia does not break a rule here, and this does not mean interference in the country’s internal affairs. “Opposition is your own business, whatever you do is your own business – not ours and we quite understand it,” continued McFaul. In January leaders of protests against the results of Russia’s parliamentary poll as well as members of several opposition parties met US Deputy Secretary of State William Burns. The meeting in the US embassy in Moscow led to accusations that the protests are orchestrated from the USA. This was further aggravated by the White House’s rhetoric questioning the legitimacy of the elections. 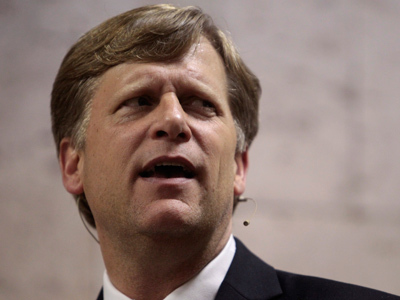 In May, McFaul already denied any links between Washington and Russia’s protest movement. 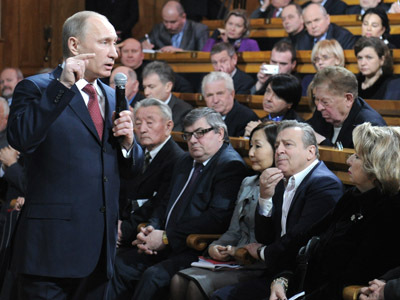 He said that US sponsoring of NGOs was a global concept and was not aimed at affecting Russia’s affairs. ­No doubt, the ambassador knows what he says. Political scientist Mateusz Piskorski believes McFaul is “the best and the most renowned specialist when it comes to color revolutions.” He also says the prior administration hoped to direct some sort of political shift in Russia – and the idea did not completely leave the White House together with George W. Bush’s team. The “color revolutions” instigated by the Bush administration in the former USSR, were claimed to represent the will of the people. But looking at the outcome, the word “democracy” seems rather ironic in this context. 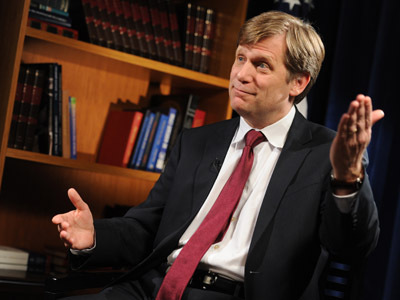 Stepping aside from the revolutions, it is difficult to overlook Ambassador McFaul’s occasional tendency to make vague statements that, due to their controversy, have already triggered diplomatic tensions. Wednesday was not the first time McFaul came up with an illuminating speech. In May, the ambassador told Russian students of “bribes” the US and Russia had offered to the Kyrgyz authorities during the Manas Airbase dispute. Later, he had to retract his allegations, saying he regretted his words and should have called it an “economic assistance package” instead. Nevertheless, the Russian Foreign Ministry protested the breach of diplomacy, while Kyrgyz prosecutors opened a case to study the claim.